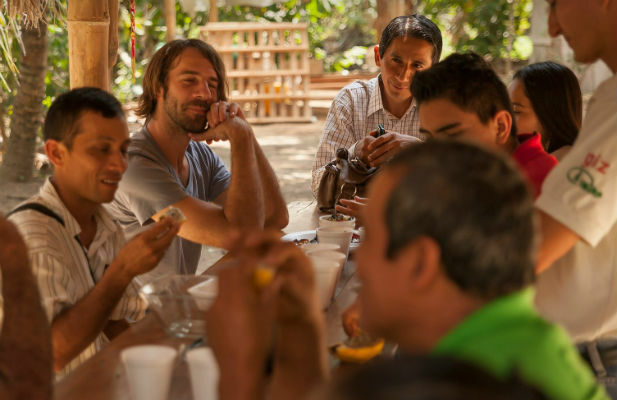 To'ak (pronounced Toe-Ahk and meaning earth” and “tree" in ancient Ecuadorian dialect) was born from a rainforest conservation project that started in 2007 in the coastal region of Ecuador. 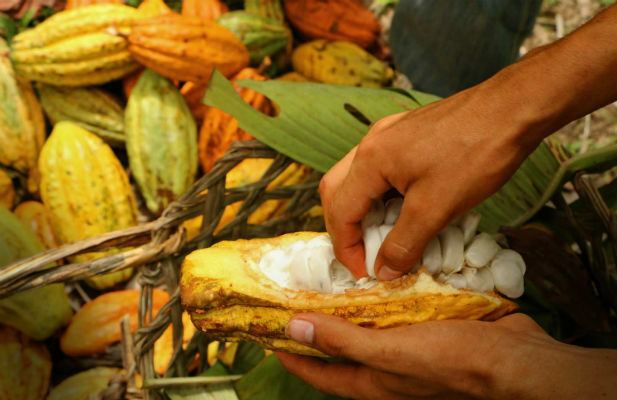 It was here that co-founder Jerry Toth began cultivating cacao trees and making chocolate in a thatched bamboo house secluded in the middle of a forest. To'ak were interested in scaling up their operations but also ensure that they go about this sustainably across their supply chain. They also wanted to attract more investors. 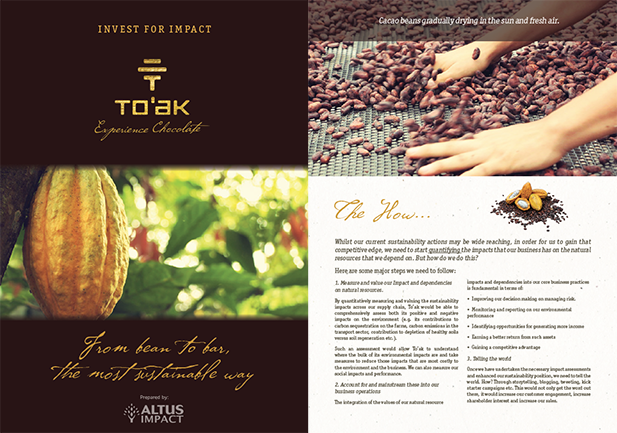 Altus Impact worked with the To'ak Chocolate Company in Ecuador to help boost their sustainability credentials, communicate those credentials to a wider audience, and try to harness further interest from impact investors. To do this, we took them through information-gathering exercises, including online surveys and in-depth interviews to uncover To'ak's current position and it's sustainability goals. 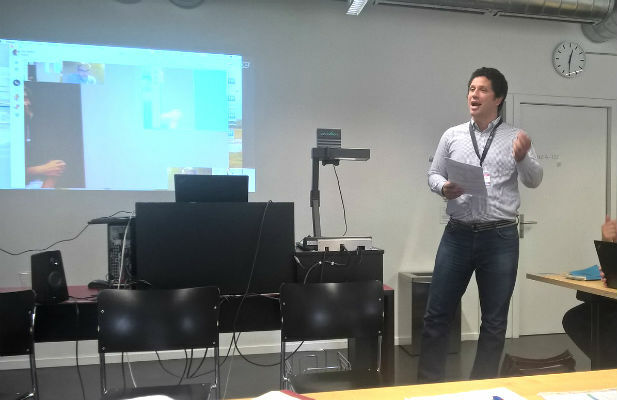 We then provided bespoke strategic sustainability advice in terms of sustainability visioning and strategy setting including creative communications outputs for investors. 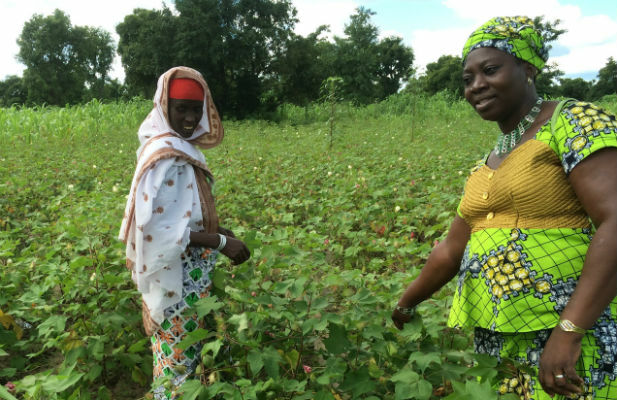 Thanks to our collaboration, To'ak now have a customised snapshot sustainability analysis to help them uncover or better understand how they can be more sustainable along their supply chains. Also, and thanks to the development of our investor brochure, To'ak are able to use this communications material to peak the interest of investors. Helping our clients mobilise funding for their projects through the development of engaging and well researched prospectuses. Download sample prospectus. What makes Ta'ok chocolate unique? 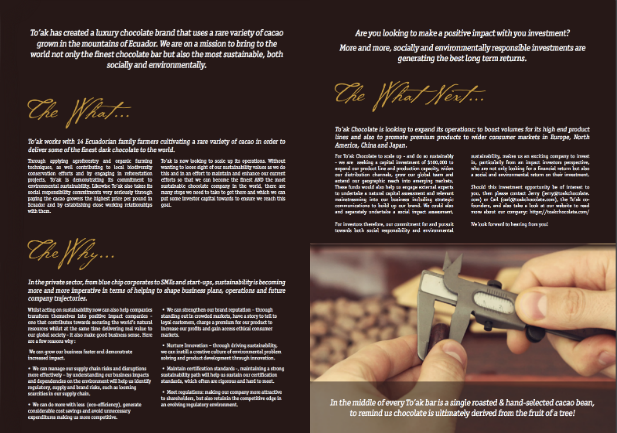 By working with fourteen cacao growers from the valley of Piedra de Plata to harvest semi wild cacao, To’ak’s mission is to transform the way that the world experiences dark chocolate by moving away from mass production towards creating a refined exclusive product that can be compared with that of vintage wine and aged whisky.